This week Haven Holidays have donated 40 short breaks towards the charity’s 40th anniversary travel and tourism industry campaign, 500 for 500. This represents 20 pledges and is a welcome boost to the final countdown of this crucial campaign. As a longstanding supporter of the Family Holiday Association, Haven were delighted to be able to help in this way. It ensures that more struggling families will get to have a much-needed break in the year ahead. 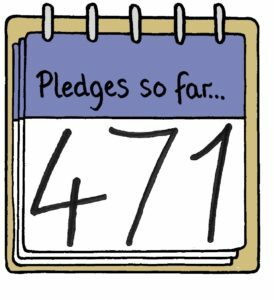 With just days to go before the official 40th Anniversary year comes to an end, the total number of pledges now stands at 471. The charity’s official 40th Anniversary year comes to an end on 27 May, so there’s just enough time to make a pledge and help everyone involved with the 500 for 500 campaign to achieve something amazing together. To see live updates of the pledge total, and to make a pledge of £500 or any multiple of this amount, click here.